James Doyle is one of the most in form jockeys in the world at the moment and these year had one of his greatest seasons to date, landing some big Group 1s an taking home some nice prize money. The Doyler this season has managed to land seven Group 1 contests, including the Irish Oaks, Yorkshire Oaks and the King George VI and Queen Elizabeth Stakes. This wonderful year for the ridder could continue at the Breeders Cup meeting this weekend where he will be looking to win at the Churchill Downs based festival for the first time in his career. He rides One Master for William Haggas in the Breeders Cup Mile who is a general 10/1 shot. (Credit At The Races) Doyle said: “It’s nice to be part of the Breeders’ Cup as it is one of best racing carnivals in the world. I’ve had a few chances, it has not really happened for me there yet, but it would great if it did this year. “I finished third in the Juvenile Turf back in 2015 on Birchwood and that gave me a taste of what it would be like to win. “So far this year the Irish Oaks on Sea Of Class would be the big highlight, that was a fantastic day going to Ireland. The link up with Poet’s Word was good as well. 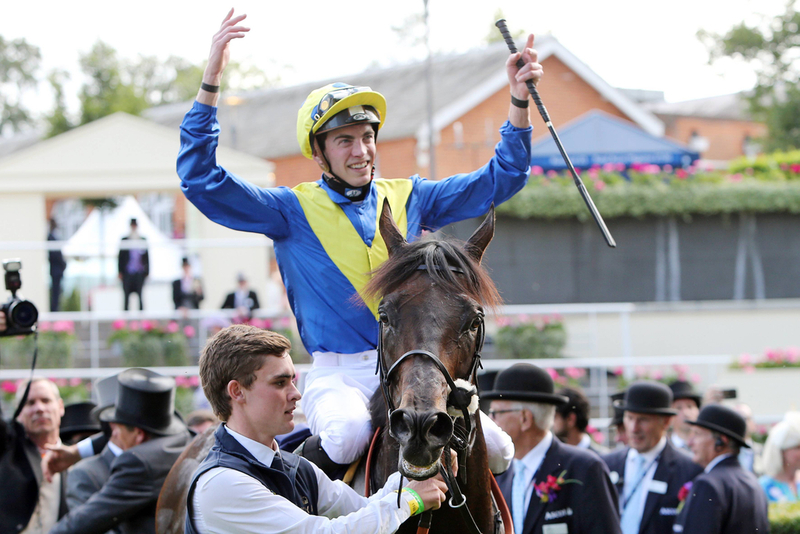 Winning the Prince of Wales’s at Royal Ascot was pretty special. “The King George is one of our stand-out Group One races, so having won a Prince of Wales’s Stakes before I’d say the King George win topped it as it was nice to tick that off. One Master this year has gone on to win Two Group contests. The first coming in a Group 3 at Tipperary and the second at Longchamp on Arc weekend in the Group 1 Prix de la Foret. Although both these victories have come with Doyle not on board the horse and when he has been in the saddle things haven't gone to plan but this does not phase him. (Credit At The Races) He added: Doyle said:"I’ve not really had many opportunities on her. She had a bad draw at Goodwood and was nearly drawn off the track, but she still ran a fantastic race. There is a lot of factors going against this daughter of Fastnet Rock, with her being in Stall one and her first time stepping up to a mile with stamina a huge question mark for the four year old. (Credit At The Races) The jockey said: It looks a wide-open race. She was one of the lucky ones in the Foret as there were a lot who didn’t get a clear run, but she got a clear passage. “I think we are going to be the one that needs luck on Saturday drawn in stall one, as from that draw we need a lot to go our way. “She relishes cut in the ground and from what I’m hearing it is pretty soft and as long as it keeps raining we will be happy, as the softer the better.